Performs Three-Mode Principal Components Analysis, which carries out Tucker Models. 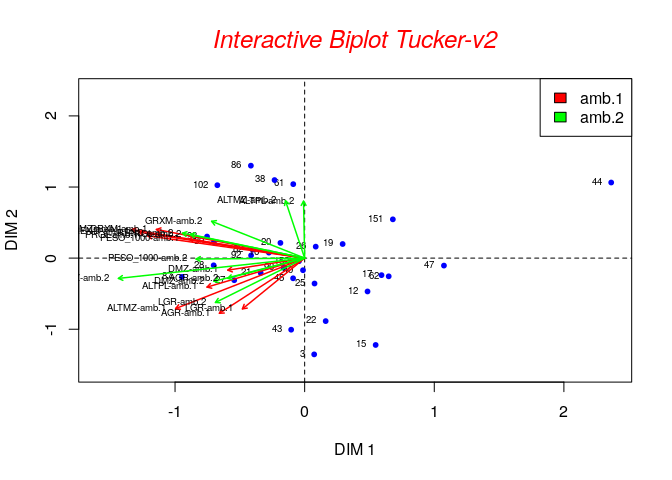 This package performs Three-Mode Principal Components using Tuckers Models and plot interactive Biplot.Some experiment design generated three-way or three-mode data, repeated observations of a set of attributes for a set of individuals in different conditions. The information was displayed in a three-dimensional array, and the structure of the data was explored using Three-Mode Principal Component Analysis, the Tucker-2 Model. The most important contribution of this package are the interactive biplot graphics and the application of the diffit() function to find the best combination of components to retain. Fix bugs in function plot_marta add plot.default and add import plot_default also.